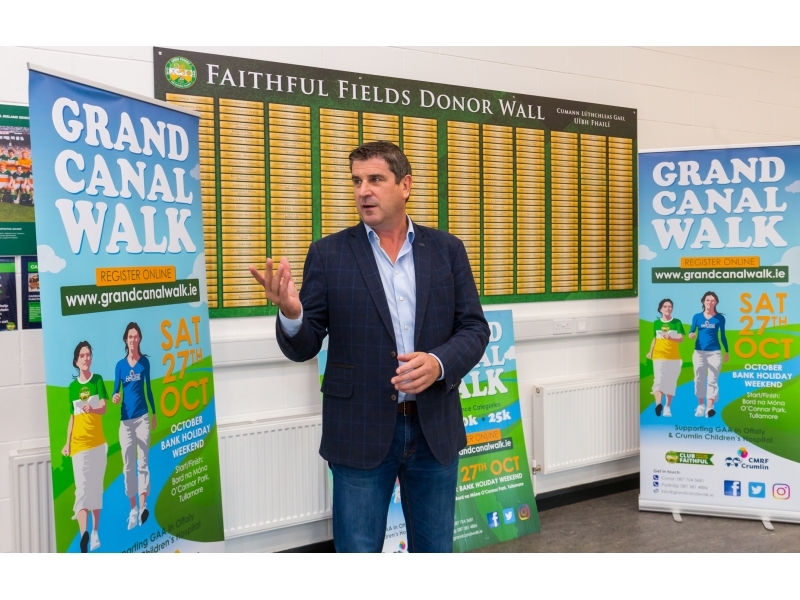 Last Friday night, Club Faithful officially launched the Grand Canal Walk at the Faithful Fields in Kilcormac. 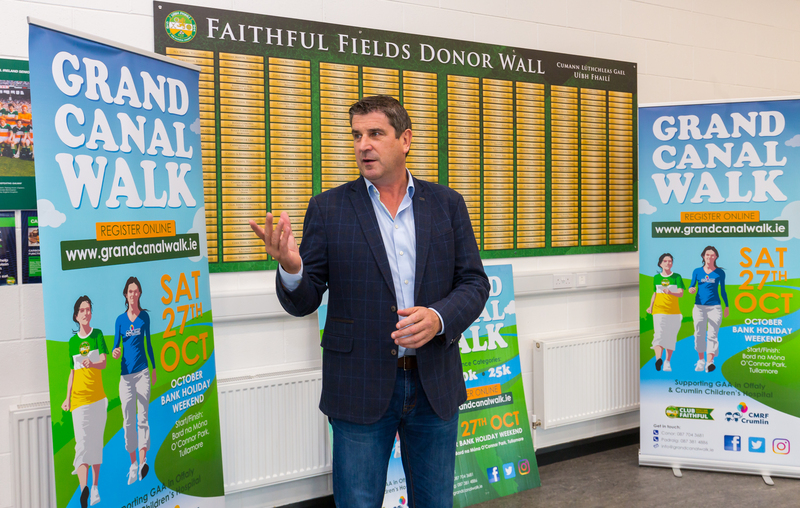 A gathering of current and former players, team managers, county board officials, committee members, TD’s and councillors amongst others listened on as Michael Duignan explained the details of the walk and what is hoped to be achieved. As we all know the demands of the modern game require sufficient funding to be competitive as well as the facilities to continue to develop and nurture young talent. 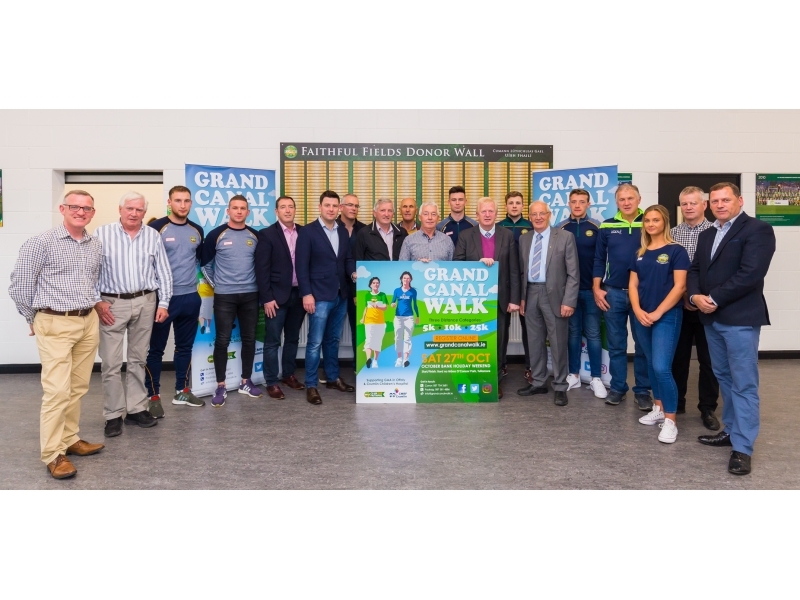 Saturday October 27th is a great opportunity for Offaly supporters to come out and show their support as one big community to ensure we are competitive and continue to develop. 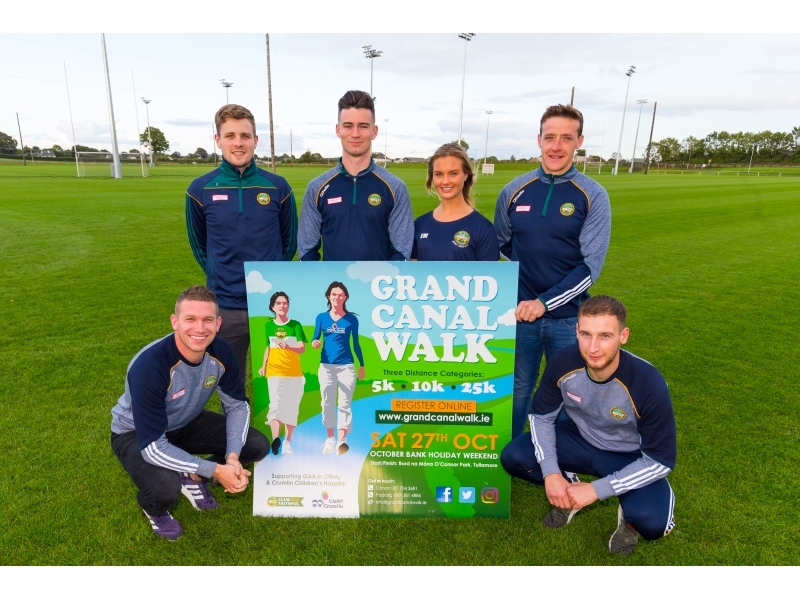 The event will take place along the grand canal with the option to complete a 5, 10 or 25 kilometre walk. All walkers will begin and finish their walk from B.N.M O’Connor Park in Tullamore. 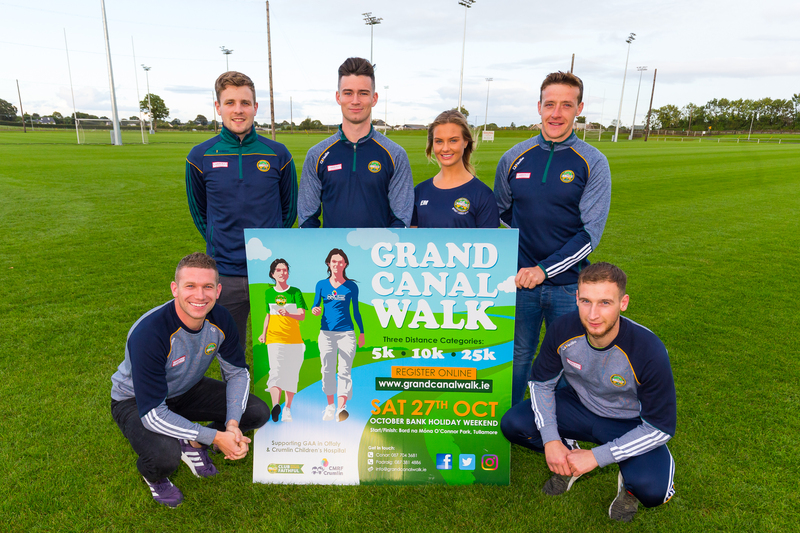 On completion of the walk refreshments, food and entertainment will be provided at B.N.M O’Connor Park. 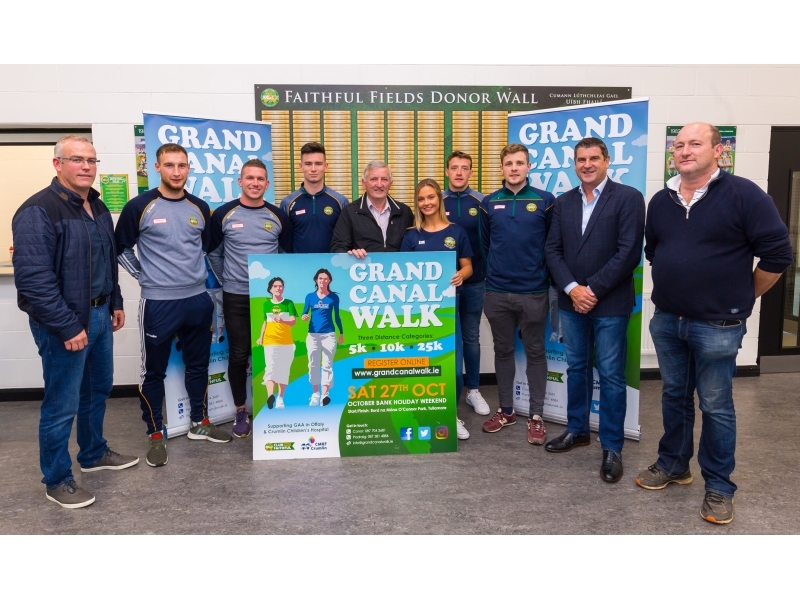 The event is a joint fundraiser with the money that will be raised going to Offaly GAA and Crumlin Children’s Hospital.